The museum is housed in the Memorial Sign for the Adoption of Islam by the Volga Bulgarians in 922. Its architect is Rustam Gabbasov. The Memorial Sign was solemnly opened in May 21, 2012 and reflects Bolgar’s important historical mission and religious significance of this place for the Eurasian Muslim communities. 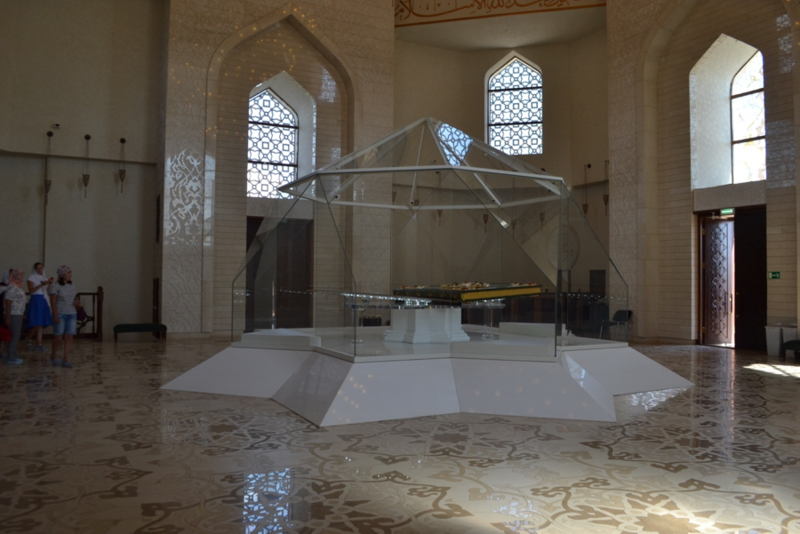 The exposition of Quran Museum represents the Holy Book of Muslims in different angles closely connected with the history and culture of Tatarstan, where Islam and Quran itself became the basis of spirituality, an integral part of the daily life of Muslims, reflected in the history and culture, national traditions of Tatar people. 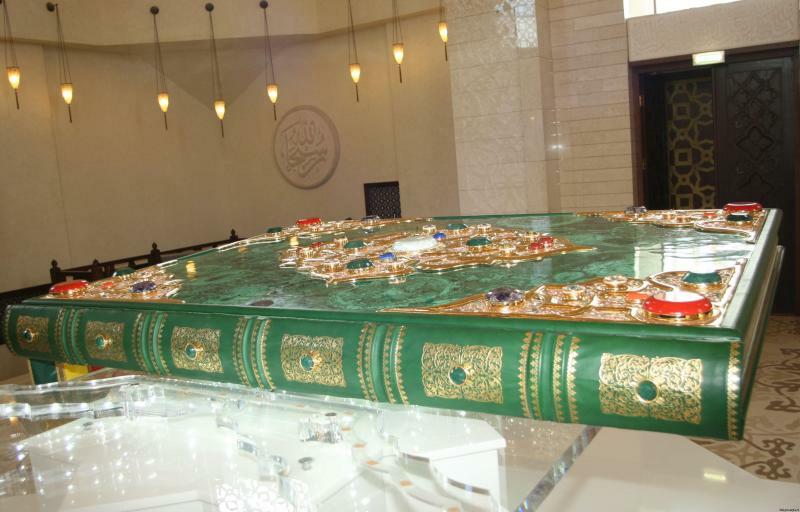 The central exhibit is the Quran installed in the solemn upper hall of the Memorial Sign. The Quran is listed in the Guinness Book of World Records recognized as a cultural value of Russia for its uniqueness and high level of artistic performance. 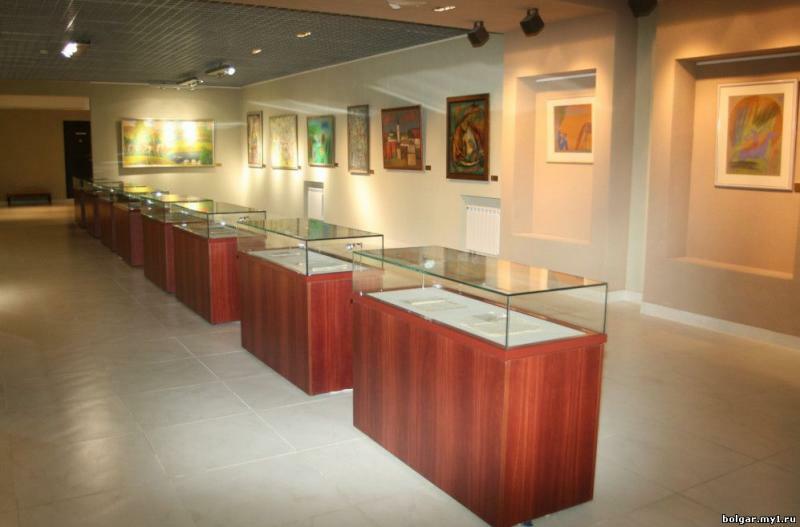 The museum has digital projectors screening educational videos about Bolgar and the Quran. Also, there are interactive panels, where the information about history and characteristics of the Quran can be found. Different interactive activities such as the digital Quran, digital screens that are mentioned before can be interesting for young visitors and kids. I really enjoyed visiting the museum. Especially I loved the location. It is located near the Volga River, so landscapes are just breathtaking! Also I loved that there were a lot of interactive tablets in the museum, it helped me to understand the history of Quran better. However, from the outside the museum looked much bigger that it was in a real life. Tickets: adults – 150 rubles; schoolchildren, students, retired – 100 rubles (payments are accepted only in cash). Souvenirs: Near the entrance to the museum there is a ticket office, where you can buy a ticket and two souvenirs stalls with brochures about Bolgar, magnets, different plates, Tatar traditional dolls and jewelry. Special Needs: wheelchairs access provided.